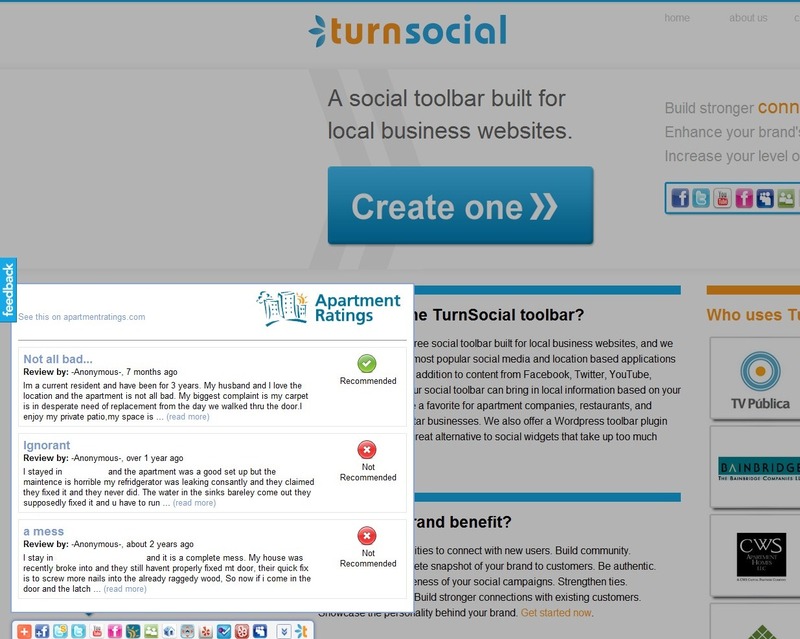 This entry was posted in Local Business, Location Based Services, Multifamily, Social Media, Uncategorized and tagged apartments, multifamily, property management, property managers, ratings, reviews, turnsocial by Matt Hendrick. Bookmark the permalink. Thanks Brent! We’re still a bit unsure of what the adoption rate is going to look like; it’s kind of hard to predict in this circumstance because there is such widespread disagreement on the value of apartment ratings to potential residents. I really like your idea of using the ratings apps to encourage current residents to leave reviews, and I think it could be very effective on a community’s blog – a location that is much more internally facing towards current residents. (also easy to install since we offer a WP plugin!) We’re working on some changes right now which will make the existing apps much more conversion friendly, so I will add that feature to the list. I hope we can expand this discussion, because I’m sure there’s a lot of heated viewpoints on both sides of the table. I saw your update on multifamilyinsiders.com – thanks for helping to spread the news! I think you guys are going in the right direction Matt. 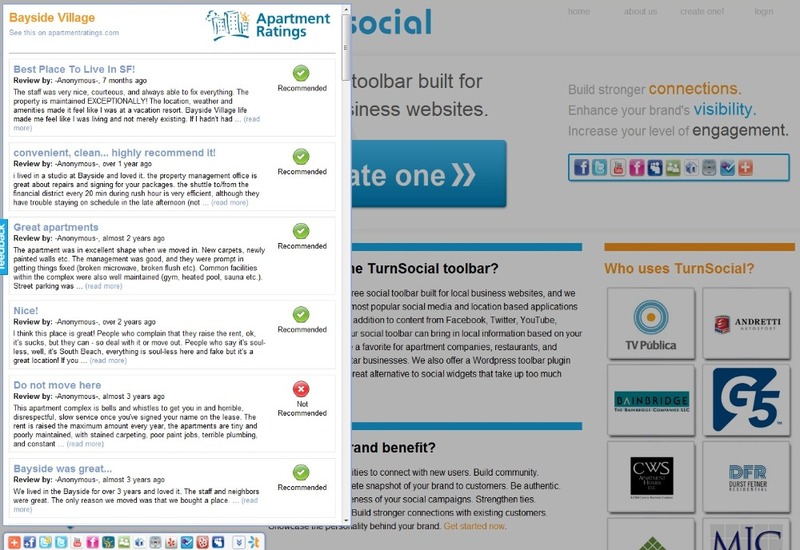 Social Media is here to stay and rating apartments on any number of levels is fast becoming a key component to decision making. I like to refer to it as ApartmentSearch 2.0 where not only does the customer get to compare apartments based on the amenity package but also on the ratings offered by current and past tenants, buzz on the street and perhaps even the social consciousness of the property owner and/or management company; the sky is the limit. This can’t help but to evolve even further in the near future. 100% agree – which is why you see us focusing on delivering so much outside content to property websites with the TurnSocial bar. Just like anything else in life, as consumers become more savvy online they expect more information at their fingertips – now we just need to convince all of the companies who hesitate to join the party!